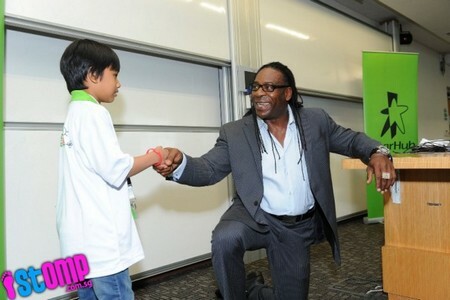 SINGAPORE - Better known as a five-time heavyweight wrestling champion, Booker T was more of a gentle giant on Saturday when he visited 31 children from the StarHub-Central Singapore Nurture Programme. The WWE wrestler, whose real name is Booker Tio Huffman, Jr., is best known for his 'Spinaroonie' move to finish off opponents in the wrestling ring. 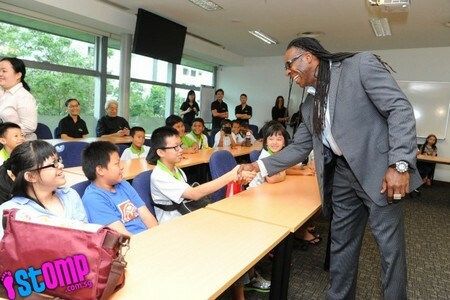 He was here in Singapore to share with the children his thoughts on the importance of reading and embracing their education at an event held at the Singapore Management University (SMU). 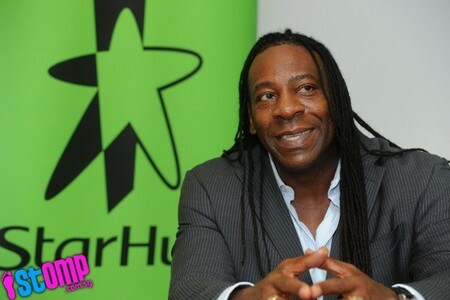 There, he spoke about his life experiences - how he was orphaned when he was just 14, life as a gangster and, later on, as a single father - and also read excerpts from 'Buried Alive', a Jacqueline Wilson book on bullying and friendship. 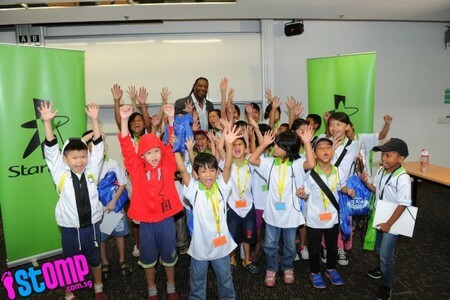 The 48-year-old also told the group: "Reading and education are such important building blocks in life. "Without a good academic base or the natural curiosity inspired by reading, it can be easy to turn to violence to try and get what you want in life, or to give up and just let others take advantage of you." 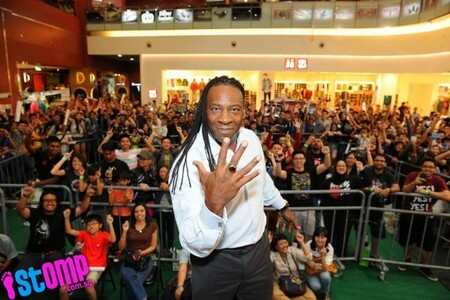 Later in the day, Booker T appeared at Bugis+ to meet with his fans. 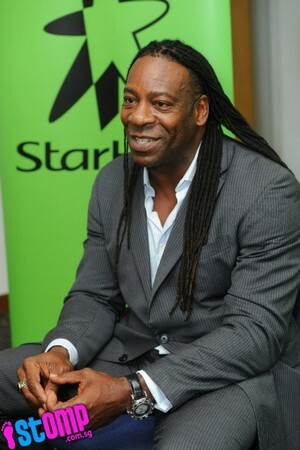 A contest was also held to look for a fan who could best impersonate Booker T's "entrance walk". 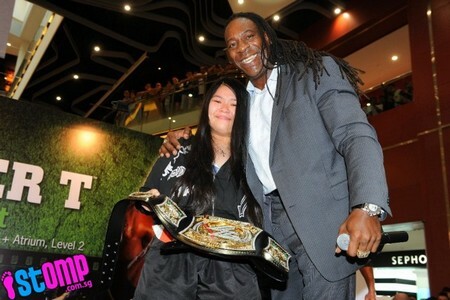 The winner, Rachel Jiang, aged 14, walked away with a WWE spinning belt and an autographed Booker T standee. 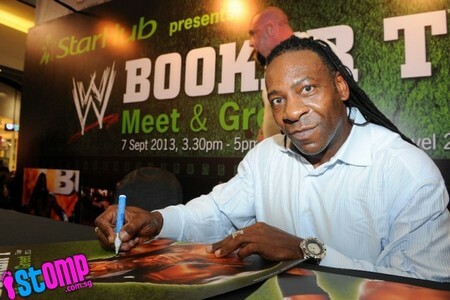 Check out the gallery below to get a glimpse of Booker T's time in Singapore. 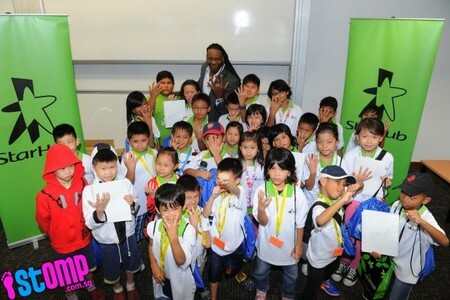 Yesterday morning was a treat for 31 children from our StarHub-Central Singapore Nurture Programme when WWE legend Booker T came to visit them. 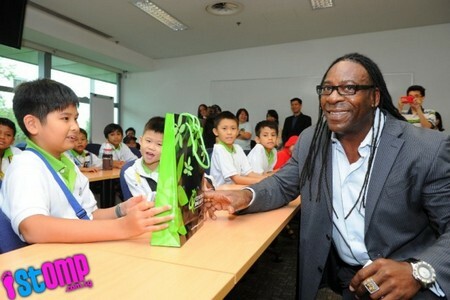 Better known as a five-time heavyweight wrestling champion, Booker T was more of a gentle giant on Saturday when he visited 31 children from the StarHub-Central Singapore Nurture Programme. 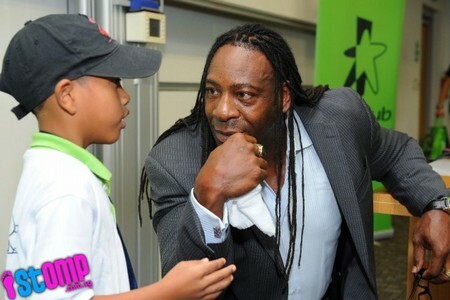 There, he spoke about his life experiences - how he was orphaned when he was just 14, life as a gangster and, later on, as a single father. He also read excerpts from 'Buried Alive', a Jacqueline Wilson book on bullying and friendship. 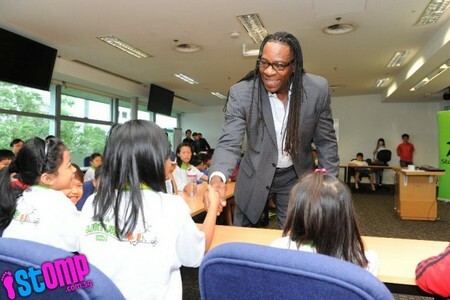 The 48-year-old also told the group: "Reading and education are such important building blocks in life."